The logo I’ve designed for Bagong Lipunan website, as requested by the client, shows the Philippine Eagle (Pithecophaga Jefferyi) with the Philippine Sun and three golden-yellow stars. The Philippine Eagle is known as “Haribon” or “Haring Ibon” (King of the Skies) and symbolizes power and strength. The eagle symbol was used by former President Ferdinand E. Marcos to replace the sea-lion in the seal of the Philippine President. The Philippine Sun used in the coat-of-arms is adopted from the national flag, the eight rays represent the eight provinces placed under martial law at the onset of the revolution against Spain. On the sun there is an equilateral triangle, representing liberty, equality, and fraternity, which were the ideals of the Philippine revolution. The three golden-yellow stars represent country’s three main island groups — Luzon, Visayas, and Mindanao. Colors white, yellow, red, and blue were used to be consistent with the Philippine flag and seal of the Philippine President. 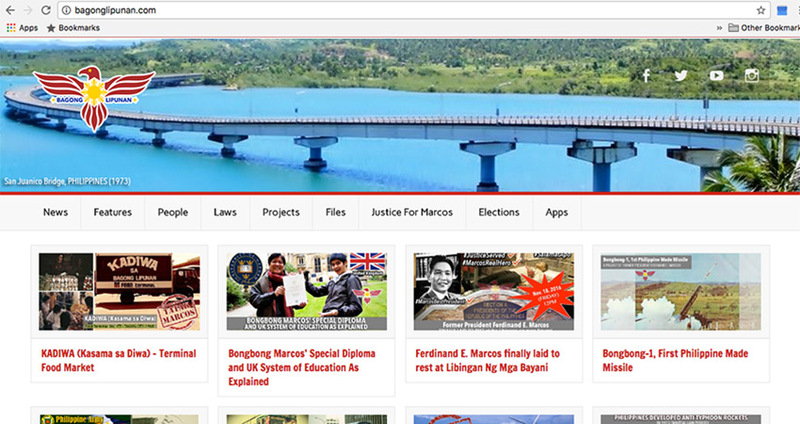 UPDATE: This is the website of Bagong Lipunan that I also developed.